Bringing the style you want to your home doesn’t have to mean long hours of upkeep or hefty price tags. You can enjoy ease, value, and a lasting look that elevates any space with luxury vinyl flooring in Ocoee, FL. This material combines the best in classical appeal with striking innovations in contemporary comfort. The result? Surfaces you’ll love, and an experience that tops the list when it comes to choosing between remodel and renovation foundations. At Flooring America, we offer the top names in vinyl manufacturing alongside all the expertise you need to make an informed choice at our local showroom. As part of a unique nationwide network of suppliers, we have expertise that no other store can match and the buying power to bring you premium materials for any project. When you shop with us, you’ll have access to everything from luxury vinyl plank flooring that captures the elegance of natural hardwood to alternative options like laminate surfaces - all available for direct comparison in one convenient location. No matter the quality of your materials, it’s important to know exactly how to apply them if you’re after the best results for your project. In the case of our luxury vinyl, there is a near-limitless number of ways for you to craft your ideal style. Whether you’re a flooring aficionado yourself, or interested in taking on your first home upgrade, we’ll make sure you have all the information necessary to enjoy our products to the fullest extent. The most important quality to take advantage of when it comes to vinyl, for example, is its ability to emulate more expensive materials and supply you with a wide range of patterns and styles. 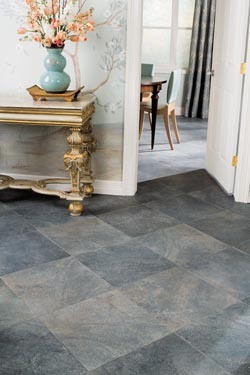 Using the high-resolution embossed or textured surfaces of our luxury vinyl tile or plank products, you can get a flawless representation of hardwood or stone without the need to break the bank-- or your back-- managing upkeep. Every home improvement project is an investment. You want to make sure that you get the highest returns by utilizing the most effective material. Learn more about this incredible option and even get help with tasks like luxury vinyl tile installation by stopping by or getting in touch with our store. All you need is a vision-- we’ll handle the rest of your flooring needs. Contact us today to enjoy the many benefits of upscale vinyl in your home. We proudly serve Ocoee, FL, and the surrounding areas.